Saturday, June 9, is the Alzheimer's Association Ride to End Alzheimer's. The ride consists of a 30 mile route, 62 mile route, and a 100 mile route. 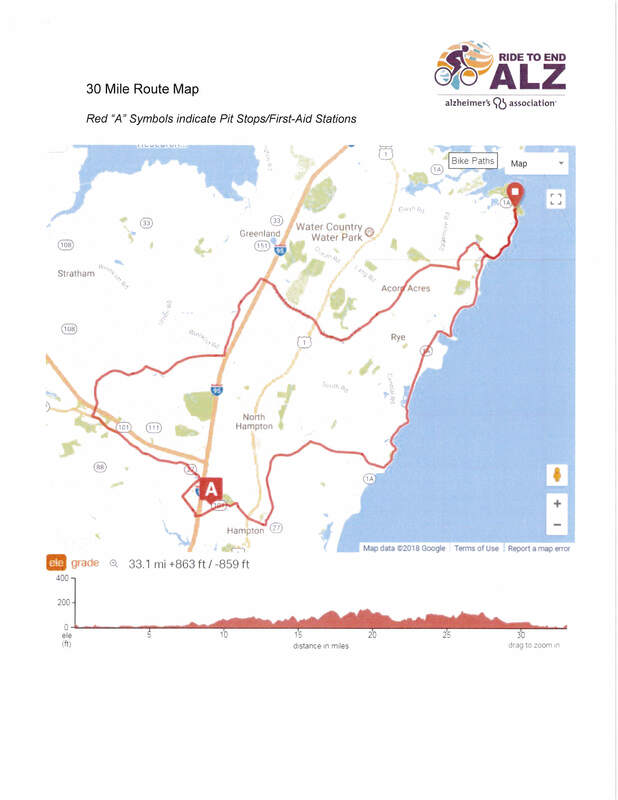 All of the routes begin and end at Odiorne State Park in Rye. Roads in Rye that will be affected are Ocean Blvd, Washington Rd, Wallis Rd, Brackett Rd, Parsons Rd, and Marsh Rd. Please be very cautious when traveling on Saturday and be aware of cyclists and spectators. The map photo is of the 30 mile route, but all three routes contain the same Rye roads.